These crock pot stuffed pork chops are filled with a savory seasoned mixture of bread crumbs and chopped vegetables. The boneless stuffed pork chops are slow cooked to perfection with potatoes and more stuffing mixture. 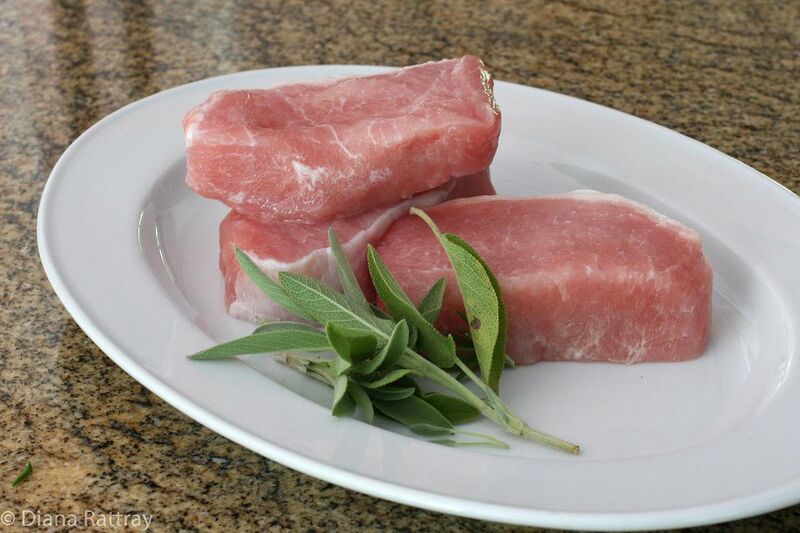 Boneless pork chops are butterflied, thinned, and then stuffed with the nicely seasoned stuffing mixture. This is a complete meal in one pot, great for any day of the week, and the slow cooker makes it easy. Add a salad or steamed vegetables and biscuits for a full and satisfying everyday meal. To butterfly, cut each pork chop horizontally through the center but not quite through the other side. Open the chops up and flatten. Put a square of plastic wrap over an opened pork chop. With the flat side of a meat tenderizer or similar tool, gently pound the chops to thin out. You want the chop thin enough to roll around some of the stuffing. Repeat with the remaining pork chops. Season the flattened pork pieces with salt and pepper and set aside. In a skillet over medium-low heat, melt 2 tablespoons of butter. Add the celery, carrots, and onion to the pan and cook, stirring, until tender. Pour vegetable mixture into a medium mixing bowl and add the breadcrumbs, chopped pecans, sage, parsley, and thyme. Taste and add salt and pepper, as needed. Add the beaten egg and mix until the ingredients are moistened. Pat a few tablespoons of the stuffing mixture on each chop; roll up and secure with a toothpick. Place the cut-up potatoes in the slow cooker or crockpot and dot with 2 or 3 teaspoons of butter. Season lightly with salt and pepper. Place the stuffed pork rolls on the potatoes in the slow cooker. Sprinkle with remaining stuffing mix. Cover and cook the stuffed pork chops and potatoes on low for 7 to 9 hours, or until the pork chops are fully cooked and the potatoes are tender. Add chunks of carrot, onions, or other root vegetables to the slow cooker along with the potatoes.